In the theatre, casting is living chemistry. 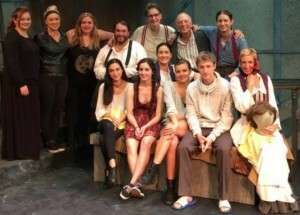 We just closed our show with Unseam’d Shakespeare at the Studio Theatre in the Cathedral of Learning after a successful four week run but it all started with the casting that Producer and Artistic Director Laura Smiley and Director Lisa Ann Goldsmith accomplished when they made their choices for this play. From the first table read to the last matinee and closing show we all knew that we were of one spirit. 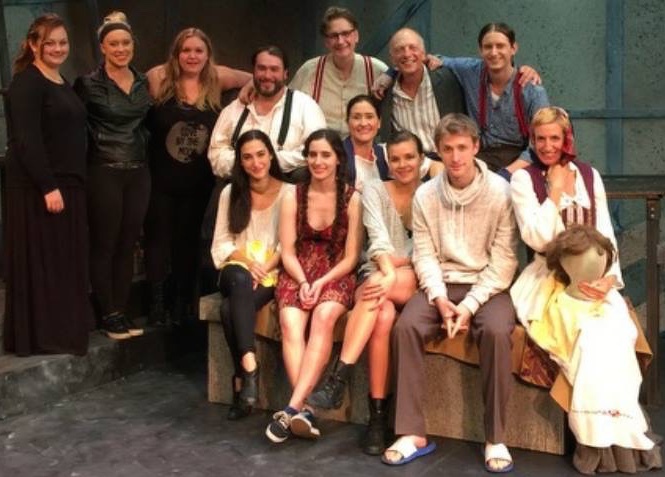 Diverse actors from many different avenues, came together for six weeks and learned the play and our lines of course but so much more about each other and what we had to offer to the audience each night. That dressing room was our sanctuary but it was also the “family” dinner table where we discussed and joked and shared our lives and yes, some of our dreams and hopes for ourselves and each other. We went out on that stage each night though as a unit of one with a singular goal of telling the story of the play Out of This Furnace. When it’s all over actors as a rule hug and shed tears and vow to stay in touch. Sometimes you do and often you don’t but there are also times when you know you will, know matter how many years, shows or auditions go by. God bless this wonderful company, Unseam’d Shakespeare and Actors Equity who protects and celebrates actors like my cast-mates who are now part of my family. ← A-Nother Opening; A-Nother Show!